Healthy hair starts from the inside. What you put in your body matters as much as what you put on your hair. 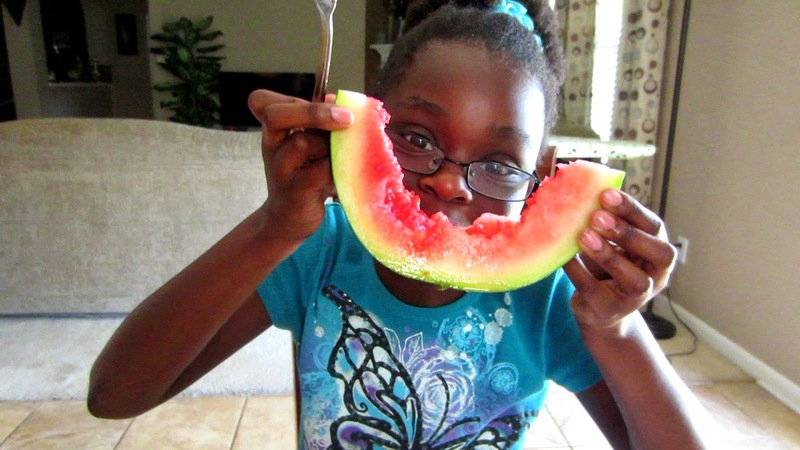 If you have some guava, try this quick recipe. 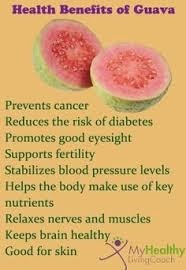 I also have a GREAT TIP on how to eliminate the guava seeds from the smoothie. This smoothie is Kid friendly. Lately, I have noticed that my ends were knotting up and with that indication, I knew that it was time for a trim. My last trim was January 3rd 2014. In the past, I had trimmed my hair while damp or wet, but decided to try using curlformers to stretch my hair and then do the trim. Kind of like straightening my hair and then trimming... LOL! I had stretched Big Sis's hair in curlformers before and wanted to incorporate the same method. The install process took about 40 minutes. Taking each individual curl created by the curlformer, I snipped off about 1/2 an inch. 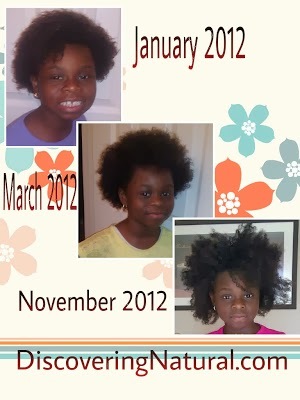 After doing this, I took off the 4 hair holders...and I was left with a cute 'Fro!! Now I know how to get my hair to stand like a fro!! 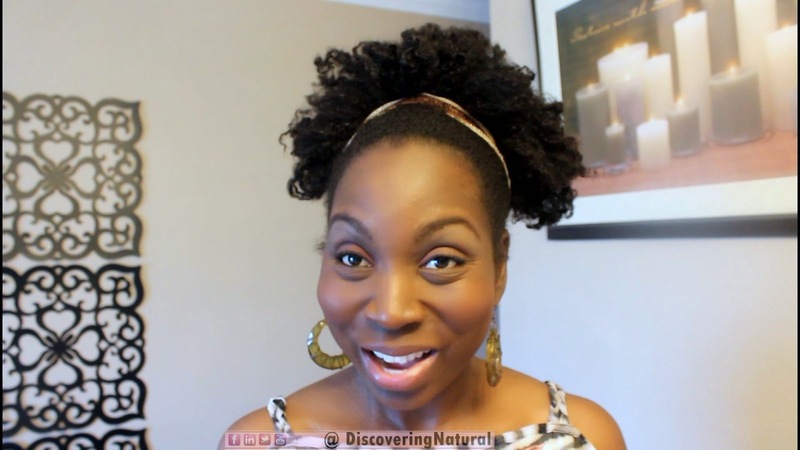 Watch my night time routine to get my Afro puff BIGGER the next day!! You don't always have to do what type of hairstyle, you can mix it up! In today's video, I showcase Big Sis's style for the week. This consists of roll and tuck and add some twists at the ends. 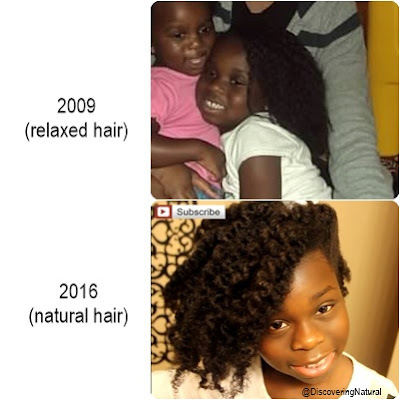 Your child's hair is texturized or relaxed and you are wondering how do you stop putting chemicals in your child's hair and make their hair completely natural. 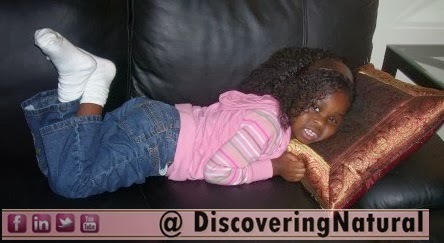 When Big Sis was 4 years old, I got to a point of frustration with her natural hair. 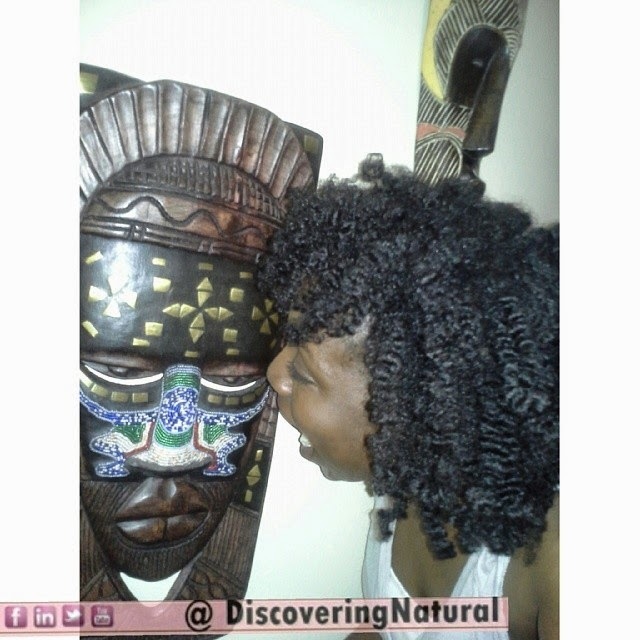 At that time, I was blind to the beauty of natural hair. Maybe I was sleep deprived due to having a newborn, Lil Sis, or maybe it was the pain I felt when I saw her cry when I did her hair. I decided to listen to "friends" who advised me that the best thing to do was to texturize her hair. It will make her hair easier to manage. Everyone is doing it. They said. And, without doing my research, I listened and went ahead. Do you have a child that is currently relaxed and you would love to transition her? What are your struggles? 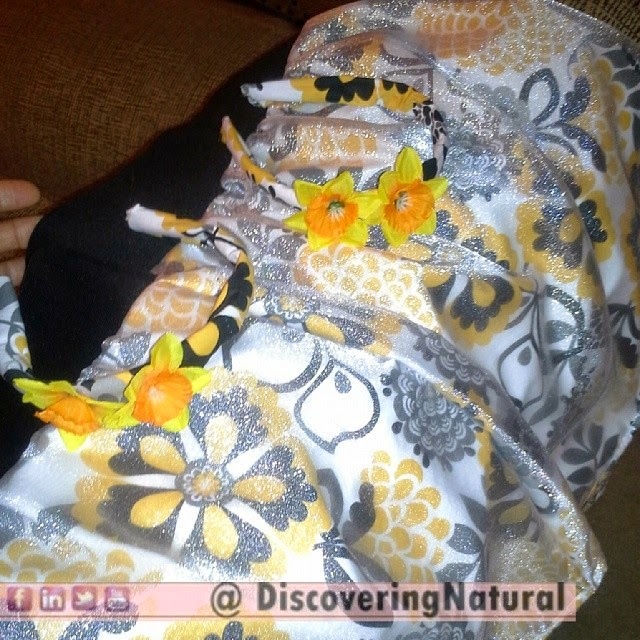 This Easter, I decided to sew the girls' skirt and make matching headbands. 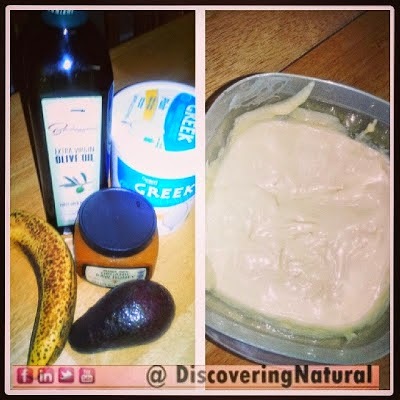 I love doing DIY home treatments because it allows me to control ingredients that I put into my hair. When making these treatments, there are some essential tools that you need. Each recipe in my DIY home treatments has specific measurements. I never eye-ball my mixture because it can give different results. 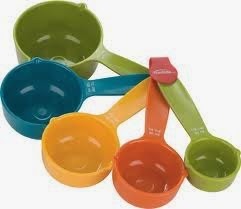 Due to this fact, I have an array of measuring tools ranging from teaspoons, tablespoons to cups to spoons. Some mixtures call for more than spoons for mixing the treatment. For a more liquid consistency, I prefer to use my blender. This helps keeps the consistency the same through the mixture. It also helps eliminate chunks of ingredients. 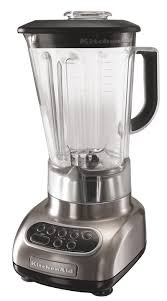 When using blender, I use it in a liquefy setting. If you do not have a liquefy setting, start off by blending in a slow rate, then gradually increase to the fastest/highest rate. This tool is the one that is mostly ignored when making treatments that calls for food products such as banana and avocado. Many people complain that the reason they do not like DIY home treatments is because their mixture always leaves chunks of food debris in their hair. 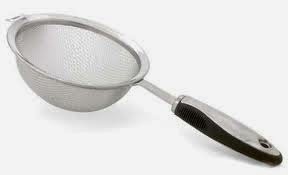 To avoid this, use a fine mesh sieve/strainer. This will help remove any debris that still exists even after blending your produce in liquefied setting. 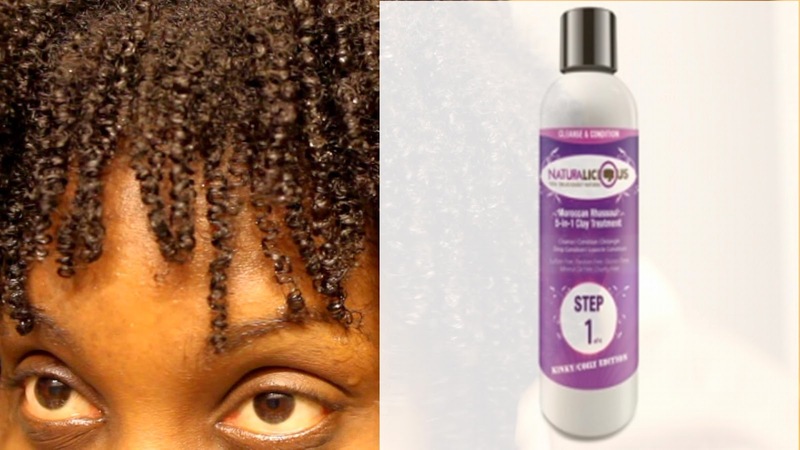 In today's video, I show you how I retain moisture in my natural hair. Today's vlog is a mixture of different things, but sure to give you some great information on saving and also funny parenting scenario. ENJOY!! 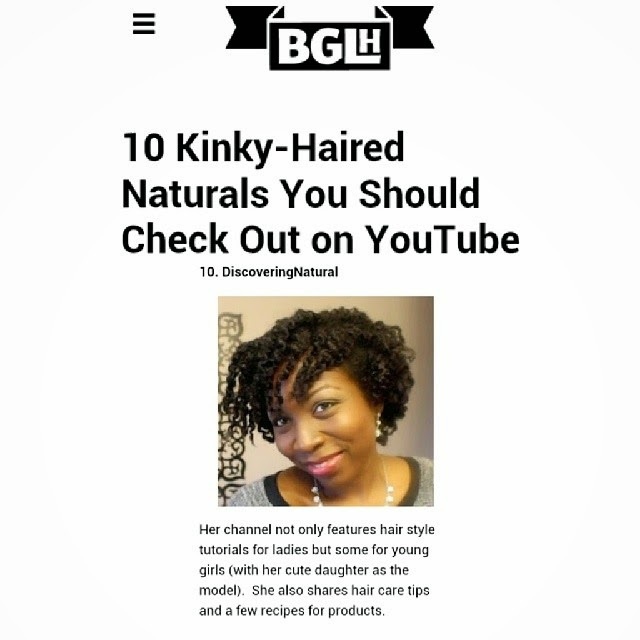 I had the pleasure of reviewing Gaisie Body Essentials products for Hair and Body. 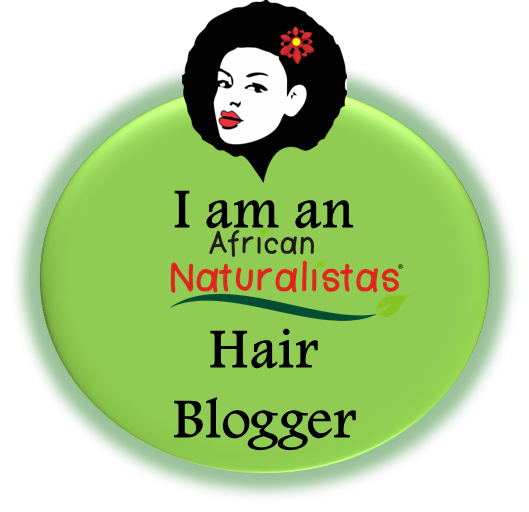 This company is one of the sponsors of the worldwide INTERNATIONAL NATURAL HAIR MEETUP day on May 17th 2014. Watch below to see what I thought of their products. Watch to the END for a SPECIAL OFFER!!! Water, Sodium Cocoyl Isethionate, Glyceryl Stearate SE, Cocamidopropyl Betaine, Camellia sinensis (Green Tea) Leaf Extract, Glycerin, Simmondsia chinensis (Jojoba) Seed Oil, Persea Gratissima (Avocado) Oil, Phenoxyethanol, Caprylyl Glycol, Sorbic Acid, Lactic Acid, Aloe Barbadensis Leaf Juice. Water, Sodium Cocoyl Isethionate, Cocamidopropyl Betaine, Glyceryl Stearate SE, Lonicera japonica (Honeysuckle) Flower Extract, Glycerin, Butyrospermum Parkii (Shea Butter), Phenoxyethanol, Caprylyl Glycol, Sorbic Acid, Lavandula angustifolia, Lactic Acid, Aloe Barbadensis Leaf Juice. Water, Sodium Olivoyl Glutamate, Cetearyl Alcohol, Glyceryl Stearate, Butyrospermum Parkii (Shea Butter), Simmondsia chinensis (Jojoba) Seed Oil, Cocos Nucifera (Coconut) Oil, Persea Gratissima (Avocado) Oil, Simmondsia Lonicera japonica (Honeysuckle) Flower Extract, Glycerin, Phenoxyethanol, Caprylyl Glycol, Lavandula angustifolia, Tocopherol, Lactic Acid, Rosmarinus officinalis (Rosemary) Leaf Extract, Aloe Barbadensis Leaf Juice. Water, Behentrimonium Methosulfate, Cetearyl Alcohol, Butyrospermum Parkii (Shea Butter), Cocos Nucifera (Coconut) Oil, Hydrogenated Olea europaea (Olive Oil), Olea europaea (Olive Oil), Olea europaea (Olive Oil) Unsaponifiables, Propanediol, Glycine Betaine (Beta vulgaris (Beet)) Sugar Extract, Theobroma grandiflorum (Cupuacu) Butter, Persea Gratissima (Avocado) Oil, Panthenol, Phenoxyethanol, Caprylyl Glycol, Essential Oil Blend, Sclerotium Gum, Tocopherol, Rosmarinus officinalis (Rosemary) Leaf Extract, Aloe Barbadensis Leaf Juice. Have you ever tried this product line before? 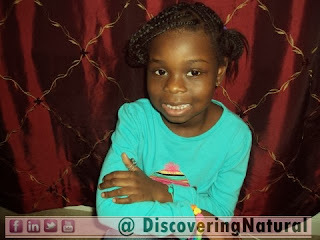 Easter is just around the corner and as we are frantically putting together the final finishes to my "gift" to the girls, home-made skirts with matching headbands, I wrote two blog posts dedicated to Easter Hairstyles for Kids. 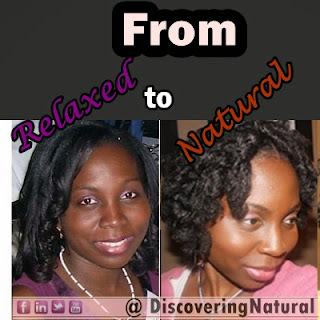 Transitioning to Natural Hair is a process of letting your new growth grow with your relaxed ends. When it comes to knowing how to start transitioning to natural hair, you have to have a starting point. 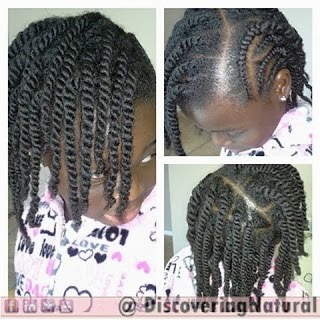 The starting point is you having relaxed hair and wondering how to convert that relaxed hair back to its natural state. Speaking from experience, when I ventured into the great unknown which was natural hair, I didn't know what laid ahead of me. I knew that I didn't want to cut off all my relaxed hair. 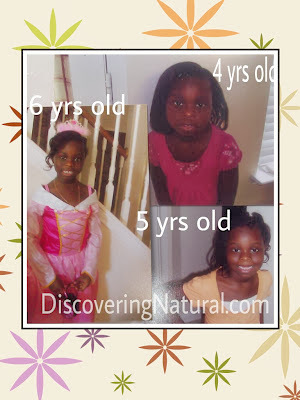 You would think that it would be easy for me since I just got done transitioning my daughter for a year and my youngest daughter has always been natural. But there is a difference when it comes to caring for your own hair. 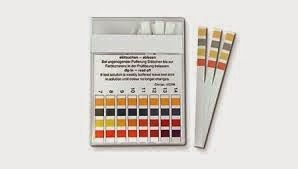 Developing a regimen early in your transitioning journey will help you have an easier transition. A regimen can be as simple as what you do daily or nightly basis, wash day, and monthly, when it comes to caring for your hair. 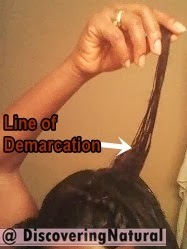 Due to the difficulty of blending your relaxed ends with your new growth, which can cause some unwarranted frustrations. If you are like me and choose to transition without the aid of extensions/attachments, wigs or weaves, having the right transitioning styles can take a lot of creativity. Know that there are many resources out there that helpful. 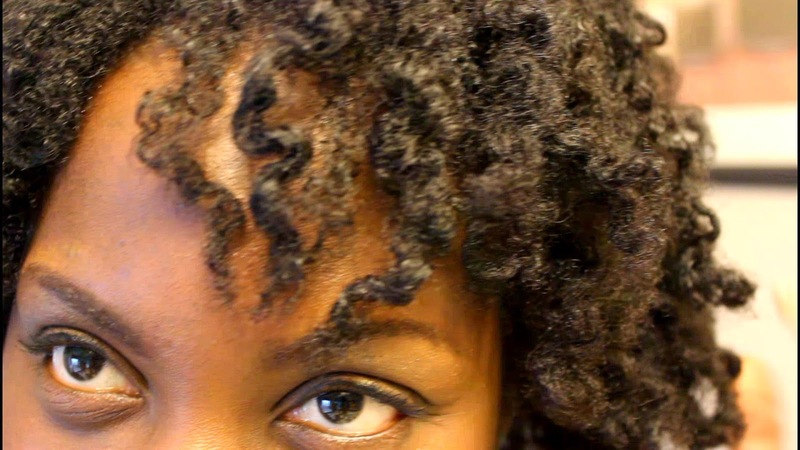 YouTube is a great place to start when it comes to learning how to style your hair. Like every new venture, transitioning can have its own challenges. Getting over these challenges can help make your transitioning period less stressful. The longer your transition, the more new growth and length you can have. Transitioning to natural hair can be a wonderful time for you to learn more about natural hair. Take each day at a time and learn from your mistake. Easter Hairstyle: Two Tier Bun. Just in time for Easter : This video shows you how to make a sock bun and in addition, how to create this elegant two tier sock buns. This style is great for Proms, weddings, flower girls, and even Dance hairstyles. I love MULTI-PURPOSE products. This product got my hair clean, moisturized, and soft. Shorten my wash day by 75%. Have you tried this product before? Also do you use clay to wash your hair? Share your recipe. It all started with the Carpet Man! I was suppose to get my carpet cleaned, but got a call that the Carpet Cleaner will not be able to make it until later on during the day. Okay... I was not upset, because that morning during my quiet time with God, I had committed the day to His hands and I knew He was in control. Fast forward to 1 hour later; exactly around the time the carpet cleaner was suppose to show up, my doorbell rings. It was a friend asking for a favor. Although the favor involved driving a bit far from my house, I was not upset. He was in control. I granted the favor and as I was leaving the location, I saw a CVS Pharmacy store. 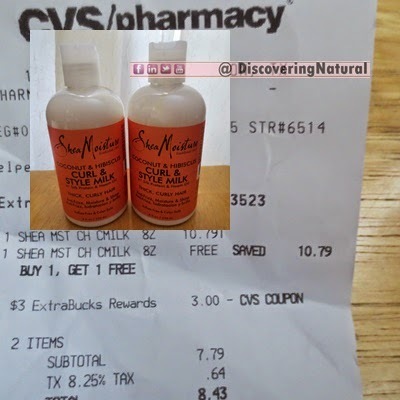 Now, CVS is currently doing a BOGO Free on SheaMoisture. I had gone earlier during the week to my local CVS store and did not buy because the store only carried one of the products I really wanted; Curl and Style Milk. I entered to the store and proceeded to the ExtraBuck coupon machine. The machine was broken. I was not upset. He was in control. 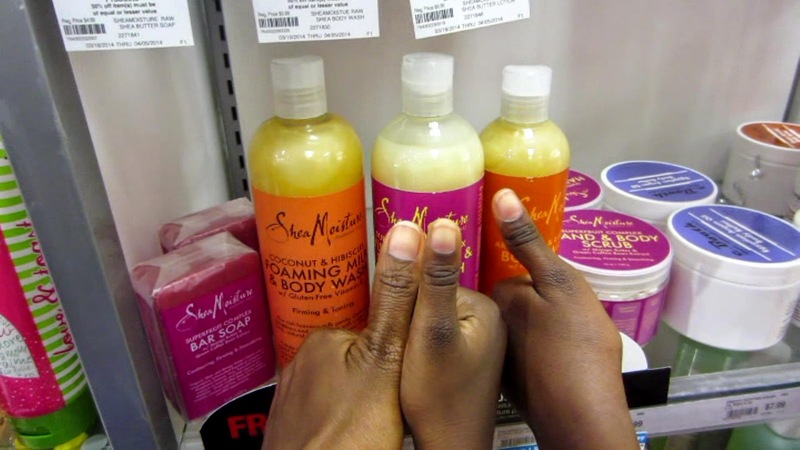 Upon getting to the checkout counter, after picking up 2 of the SheaMoisture products, I told the cashier about the broken machine, he went and fixed it. Took less than a minute. The machine started printing out coupons upon coupons. I was VERY happy. He is in control. I AM EXTREMELY HAPPY because HE has ALWAYS been IN CONTROL. What are some blessings you have experienced this week? 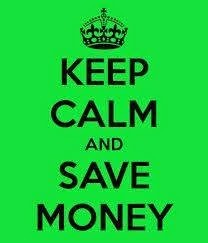 We had a busiest weekend ever!! Join us on a 3-day vlog!! LOL! I get asked a lot of times, what is my hair type...hair texture... hair density? One of the secret of having a great style is to make it one that you can style in different ways. When it comes to cornrows, it can be quite difficult. 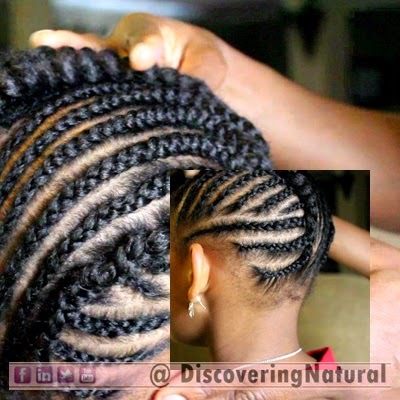 You have to style the hair in a way that you can modify the style without restyling the actual cornrows. 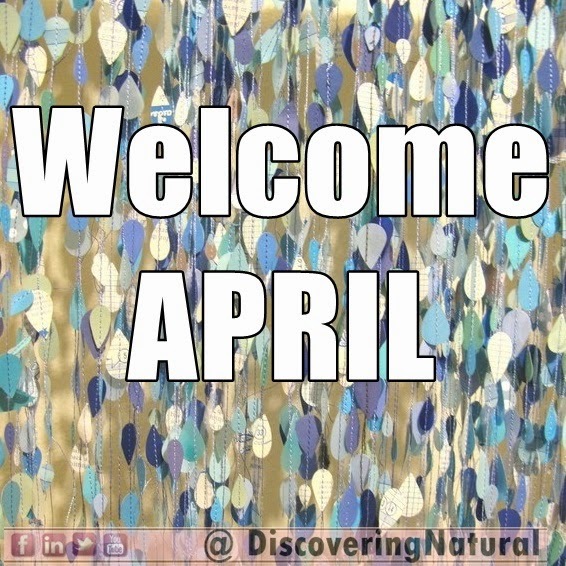 I wish you goodness in the month of April.